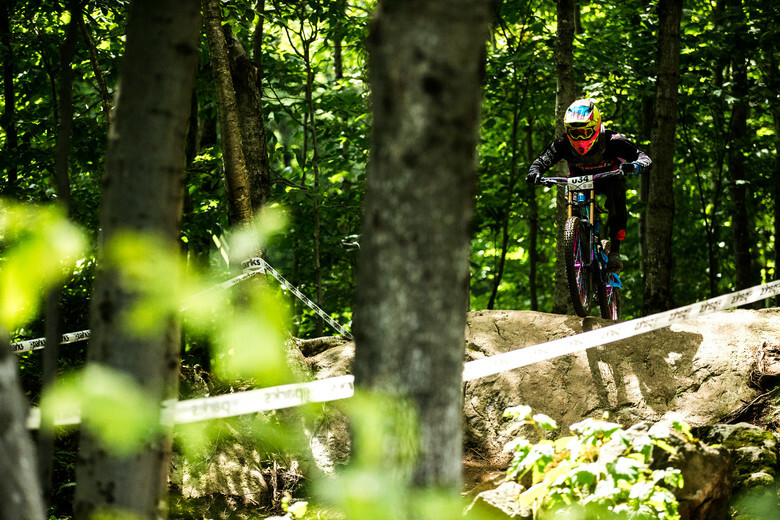 American downhillers from all over the country try to tame the Beast of the East at the Pro GRT in Killington. 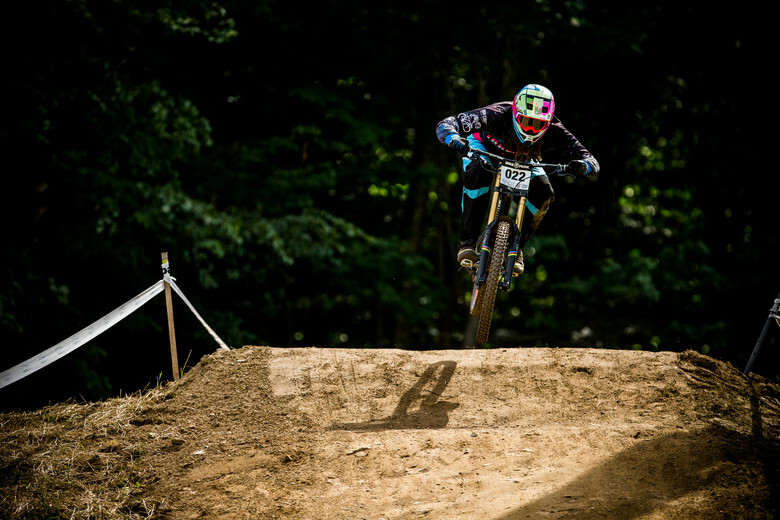 The Pro GRT in Killington, Vermont, shaped up nicely over the last few days as the sun came out and the track speeds increased. It was going to be a close race once because the track was staying dry and was now firmly bedded in. Perfecting the tricky corners separated the field and sneaky lines chipped away at the times. The track riders faced for race day was easy to ride but very challenging to race. Keeping momentum was critical, any misplaced wheel into an errant root, rock, or rut could mean losing precious tenths. Brakes were seldom used and tire pressure was actually something to consider heavily. It was a technical race from all angles. The winners of the Pro and Junior categories put on exemplary performances, finding time that left everyone rethinking their runs. It was exciting to see such a battle take place, as a lot of competitors were concerned the track wouldn't produce very interesting riding. The weather certainly made the greatest contribution, keeping the track dry and running fast. As the weekend came to a close, the word "fun" was heard more than anything else, which is a good indicator for the overall impression of the event. 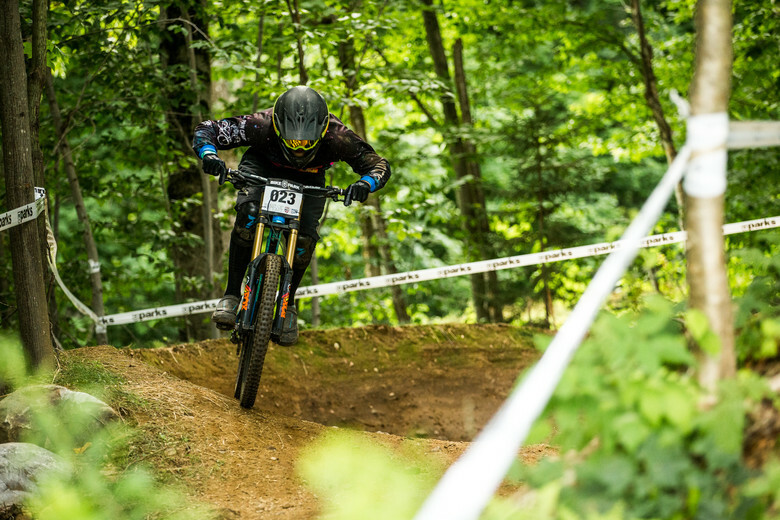 Spirits were high and people are fired up heading to nearby Mont-Sainte-Anee for the next World Cup, where the USA will have a stacked roster of riders in attendance. 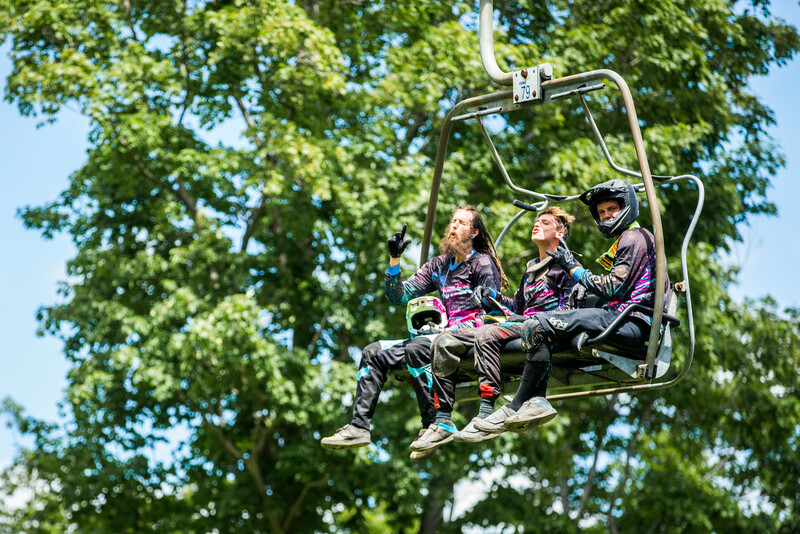 Dig into a great weekend of high-impact DH racing from Vermont. This is awesome! It's great seeing the stories behind these us nationals!